Santissima Annunziata – These aren't gray hairs, these are highlights! Went into Florence hoping to see the parade that is part of the festivities for the Festa dell’Annunciazione, the Florentine New Year. I didn’t see the parade (missed it in my wanderings? rained out? 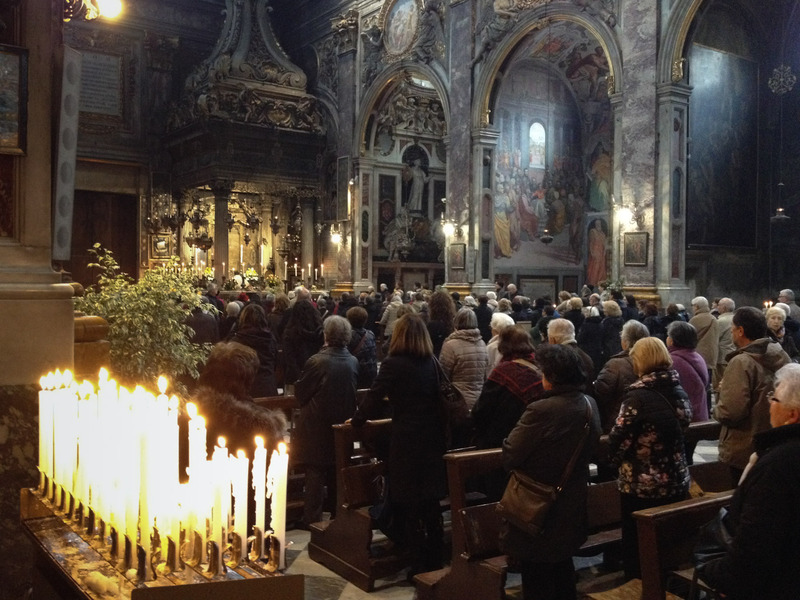 ), but I stepped into Basilica della Santissima Annunziata to light a candle and saw this beautiful sight.